What is the 127 Yard Sale? When is the 127 Yard Sale? Where is the 127 Yard Sale located? What is the length of the 127 Yard Sale route? How can I find vendors? When did the 127 Yard Sale begin? When was the Lookout Mountain Parkway added to the sale? Where are the yard sales? What time do the yard sales open and close? What payment methods do vendors accept? What if I run out of space in my vehicle to store the items I've purchased? How long will it take me to get from point A to point B? What kind of lodging will I find near the yard sales and should I make reservations? How do I post a vendor listing? How can I find a space on the route that I can rent during the 127 Yard Sale? How do I post a rental space listing? The 127 Yard Sale takes place for the most part on Highway 127, hence the name, "127 Yard Sale". The route goes from Addison, MI to Gadsden, AL. In Chattanooga, TN, Highway 127 ends and the 127 Yard Sale route continues on Lookout Mountain Parkway through Georgia and Alabama. To see the whole route check out the interactive route map. Also, don't miss the turn-by-turn driving directions through Georgia and Alabama. It currently spans 690 miles, beginning 5 miles north of Addison, Michigan and ending in Gadsen, Alabama. See our 127 Yard Sale route map for more info. You can search for vendors or browse for vendors by region. Learn more by visiting our yardsalers page. The 127 Yard Sale began in 1987. Mike Walker, former Fentress County Executive in Jamestown, TN, planned the event to encourage travelers to bypass interstate highways such as I-40 and I-75 in favor of scenic routes that would take them through rural communities and allow them to experience what the small towns and cities had to offer. With state parks, historical attractions, scenic drives, waterfalls, opportunities for hiking and biking, rivers and lakes for boating, train rides, horseback riding, fishing, bluegrass music, arts and crafts festivals, and more, this provided a great opportunity to bring more visitors to Tennessee and the 127 Yard Sale route. Visitors from across the country as well as those who have traveled internationally to the sale, will enjoy both the yard sales and attractions along the 127 Yard Sale route. When was the Lookout Mountain Parkway added to the 127 Yard Sale route? The Lookout Mountain Parkway, named by Reader's Digest as one of America's most scenic drives, was added to the 127 Yard Sale route a few years after the sale began in 1987. The Parkway leaves Chattanooga as TN-148 and becomes several different highway numbers before reaching Gadsden, AL. See our directions through Georgia and Alabama for complete turn-by-turn directions. Everywhere along the 127 Yard Sale route! In the front yards of people's homes, fields, pastures, on side streets along the route, in empty lots, at businesses, community parks, and town centers. Some areas will have large groups of vendors together which we call "Major Vendor Stops", while others will be set up separately. As you meander your way from one yard sale to the next, Highway 127 will take you through rural areas with beautiful scenery, so enjoy the ride. There's no set "opening" or "closing" time for the individual sales along the 127 Yard Sale route. Each vendor chooses the time they want to "open for business". However, typically vendors are open by 8:00 a.m. and stay open late into the evening, often until dark. Like traditional yard sales you can expect a lot of cash sales, but more and more vendors are accepting credit cards. Still, it's important to come with plenty of cash in various denominations. It's easier to haggle when a vendor sees that you have only a certain amount of cash. There's no reason to stop shopping if you run out of storage space in your car, van, RV, or trailer. Along the route you will find shipping centers and of course the USPS. Consider bringing flattened boxes of different sizes, tape, and other packing materials in case you need it. USPS flat rate boxes are free and allow anything that fits in the box to ship no matter how much it weighs. Even if you don't need to ship items home you may still want to protect that precious antique or glassware that you've purchased. Traffic along the 127 Yard Sale route can slow down considerably in congested areas, but how far you can travel in one day is more dependent on what your personal goals are and how much ground you want to travel each day. If you want to stop at every yard sale then it will be impossible to cover the entire route in 4 days (the duration of the event). You may become intrigued with a specific area once you get to it and end up spending more time there than you initially planned. Our best advice is this: Make a plan based on your goals and the time you have allotted to travel. Decide in advance how much time you want to spend in each area and try to stick with your plan. Generally, 100-150 miles is about as much ground as you can reasonably travel in a day. There are plenty of accommodations located along the 127 Yard Sale route, from hotels and motels, cabins and campgrounds and bed and breakfast Inns. Making reservations is a wise decision but you need to have a plan and be disciplined to make your destination each night. If you wait until late in the day to find a room it may be more difficult and you may have to travel several miles off the 127 Yard Sale route to find accommodations. Note: Many hotels offer the ability to cancel a reservation prior to 6:00 pm on the day of your arrival which can be to your advantage if you find that you just can't make it to the location. Find lodging by browsing through our lodging listings. You can choose the state and/or regions you'll be visiting by making selections in the "Filter Results" section at the top of the page. 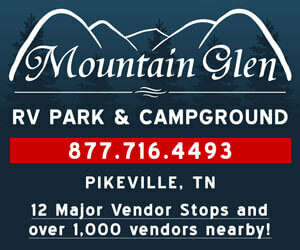 Choose between the following categories: Hotels & Motels, Bed & Breakfast, and RV Parks & Campgrounds. Get started now! Anyone can be a vendor by simply having a yard sale in their yard, at their business, or setting up in a designated vendor space. Many communities have different locations where vendors from within and outside of that town or city can set up a booth. See our Vendor 101 page to learn how to get started. Posting a vendor listing is a great way to let Yardsalers know what you'll be selling and where you'll be located along the route. Learn more by visiting our vendors page. There are many rental space providers along the 127 Yard Sale route. Using this website you can either search for rental space providers or browse for rental space providers. Learn more by visiting our vendors page. You can sell just about anything you want! At the 127 Yard Sale vendors sell all kinds of things including antiques & collectibles, apparel, arts & crafts, automotive parts/accessories, electronics, furniture, farm implements, glassware, jewelry & watches, housewares, musical instruments, computers, sporting goods, tools, toys, food, produce and much, much more. Note: Some cities and/or counties may require permits and/or have rules about what you can sell. It's advised that you check in the location you plan to sell. Learn more by visiting our rental space providers page.